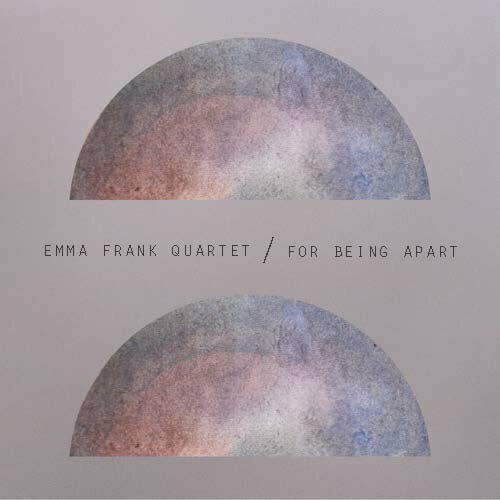 Utilizing the gorgeous elements of slow jazz, Emma Frank and her quartet offer a sublime experience on their latest album ‘For Being Apart’. The slow instrumentals combined with Emma Franks gorgeous voice creates a beautifully relaxing experience that seems to just soothe the soul. On the EP, Emma Frank displays a great understanding of song-writing, with her whole team contributing to the album experience brilliantly. Wonderful piano melodies accompany Emma Frank’s voice to create a soothing and relaxing jazz experience. It’s all very polished and accomplished in such a wonderful way, with very little really managing to drag down the overall experience. ‘For Being Apart’ opens up with sublime instrumentals setting the scene. It conjures up a thousand images, all different to whoever is listening. Emma Frank’s voice then enters the fray, and settles itself down comfortably into the layers of piano, drums and bass. It’s slow moving for the most part, though it works well for the style Emma is going for. There’s an almost dreamlike element to the music, as it washes over in it’s gentle waves. It’s effective music, that certainly demonstrates many of the strengths of the genre itself. Musically, it seems to manage to do nearly everything right, which is refreshing and enjoyable to hear. The album’s only drawbacks are in the second half of the album, where a few of the songs don’t seem to have the same amount of impact as the album’s highlights. It’s not enough to ruin or affect the album in any real way, though it does raise the potential question of why they’re simply not as good as the others, when the talent to write good songs is clearly there. It’s perhaps a little pedantic to say so though, considering how the whole album seems to just work. The only true drawback of the album is the length. At just under a half hour, it is a rather short experience that leaves us yearning for more. In some ways though, this is preferable to an album that lasts too long. Overall, the Emma Frank Quartet have created a wonderful and gorgeous album. It would be too much to say that it is an accomplishment of it’s genre, but it should be said that it works incredibly well in its genre. Each of the songs seems to have a place on the album, even though some are perhaps not as good as others. Everything contributes towards the presentation of what is a sublime and lovely experience. It is simply an enjoyable and relaxing jazz album, that manages to just tick many of the boxes. It certainly does a great job as well of showing the capabilities of this quartet, who clearly have a great understanding of what it is they can accomplish.